Women On Business offers two types of writing opportunities as described below. Women On Business is currently accepting reader content submissions. It’s a great way to get your name in front of a community of women and men working in the field of business. You can submit an original article for possible publication on WomenOnBusiness.com by completing the Content Submission Form. 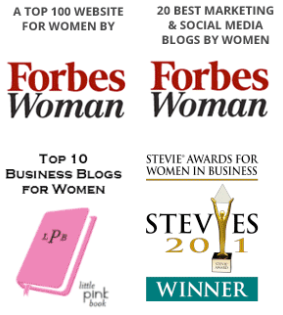 Women On Business is currently looking for ongoing contributors. If you can use WordPress and can commit to writing one article per week that can help women succeed in business and is not self-promotional, complete the Women On Business Contact Form and include “Weekly Contributor” in the Subject line. Also, explain why you think you can add value to Women On Business and include links to your online clips, portfolio, blogs, etc. Note: this is not a paying role but does provide the author additional online exposure and networking opportunities. Furthermore, we have found that writers who are truly committed to helping women succeed in business as weekly contributors communicate with us directly rather than through an assistant or any other person. Therefore, we only accept writers who communicate with us directly.